Halloween is not my favourite time of year. I’m not keen on trick or treating, neither doing it nor being on the receiving end – I keep the lights off at the front of the house once it is dark, and just hope no-one rings the bell. 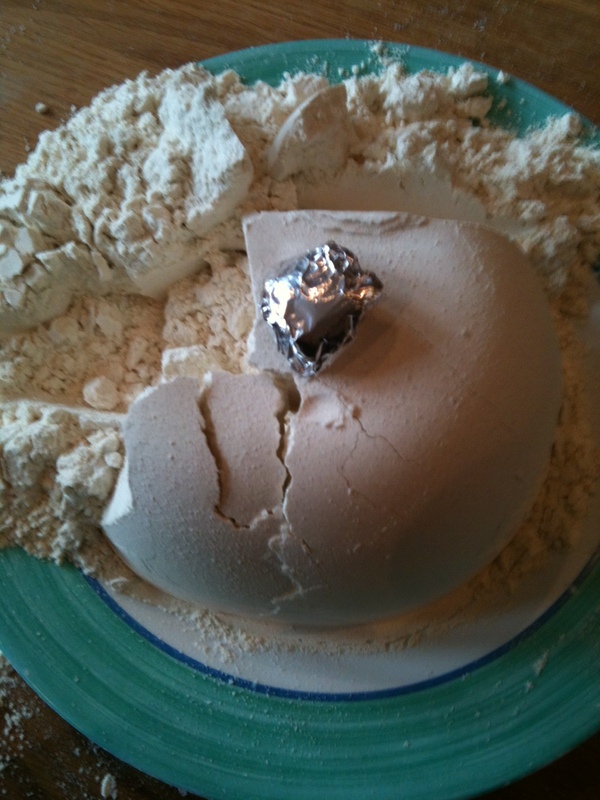 Until I had children, it was fairly easy to avoid the whole thing, but I can’t do that now. I prefer to focus on Autumn and Harvest, and not dwell too much on the scary stuff, though I am okay with the children exploring it if it is their own idea. So our Halloween activities tend to be a mishmash of things with a lot of different influences. 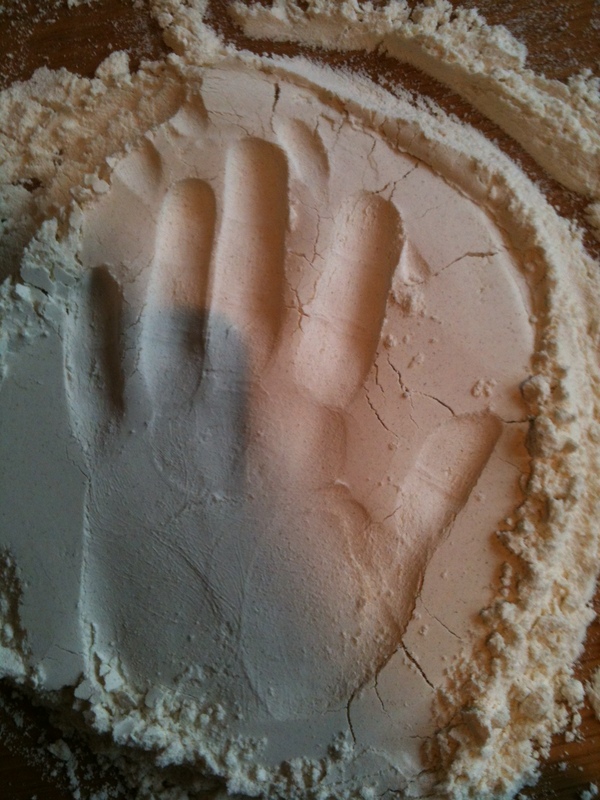 I will write a post later with more about what we have been up to, and some photos. It has involved potions in cauldrons, Halloween toast, dressing up, some traditional Halloween games and eating sweets and chocolate! Now the older three children are at church, at the Rainbow Party – an alternative celebration for Halloween, so I don’t think they are missing out on the fun. 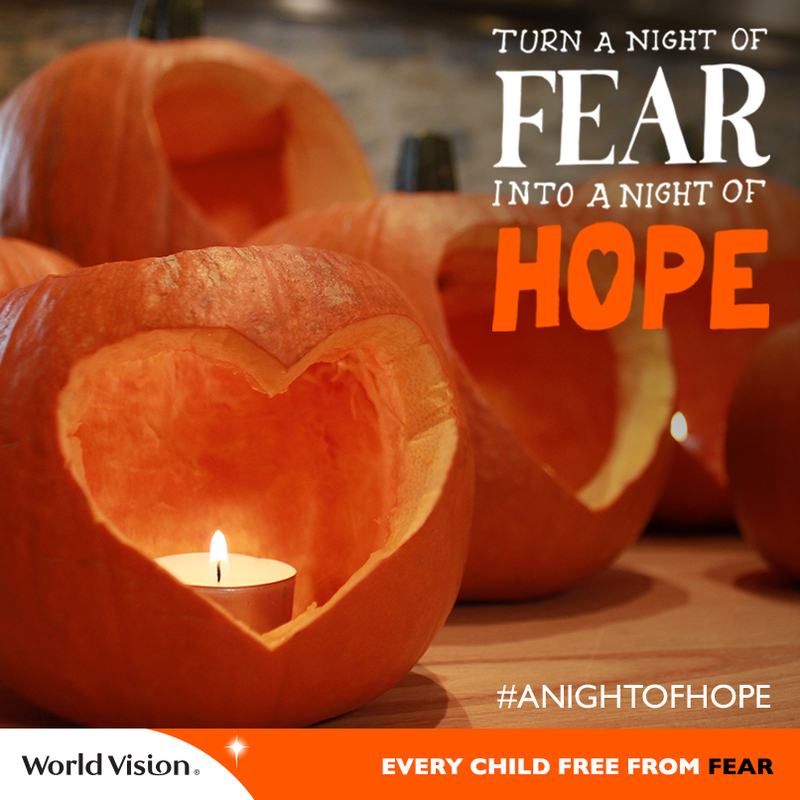 World Vision are asking people to carve a heart in a pumpkin as a sign of hope, and if you send them a picture you will be included in their night of hope gallery. Everyone who downloads their Night of Hope pack will be entered into a competition to win a cookery class with Lesley Waters and a free night’s accommodation worth £300. Obviously it would have been good if I had told you this before Halloween, but you might be able to sneak an entry in if you are quick! We have an eclectic mix of pumpkin decorating styles going on in our house. Knowing that the poor neglected pumpkins growing in our garden were rather small, I bought a medium sized one to add to them. Daddy then bought an enormous one which the children couldn’t even lift! I have carved hearts and stars into the one I bought, and some more stars in the best of our home-grown bunch. 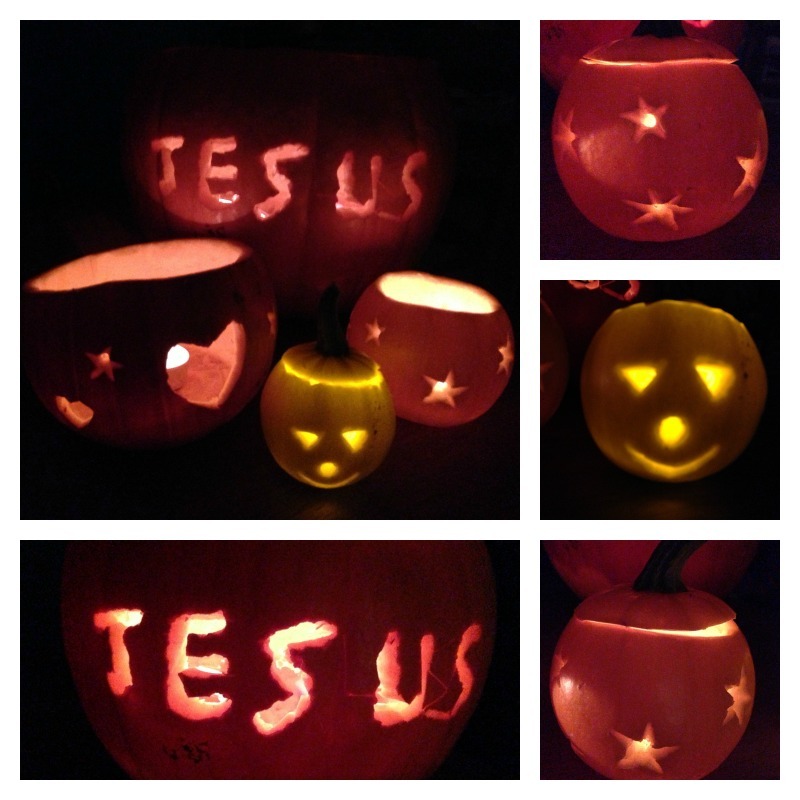 Owl asked for a pumpkin with the word Jesus carved on it, and luckily daddy was able to do that just before he left for work – I’m impressed, as it looked rather tricky to do. Rabbit really wanted one with a face on so I used one of our little ones for that. We still have a couple left so I might do some more tomorrow. 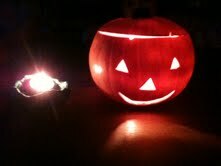 The reason the face is a different colour is that we used a small electric “candle” which we were given by a friend yesterday. The ones with the real candles in look a bit more atmospheric, but I wasn’t sure about putting one in such a tiny pumpkin where the flame would be very close to the edge. 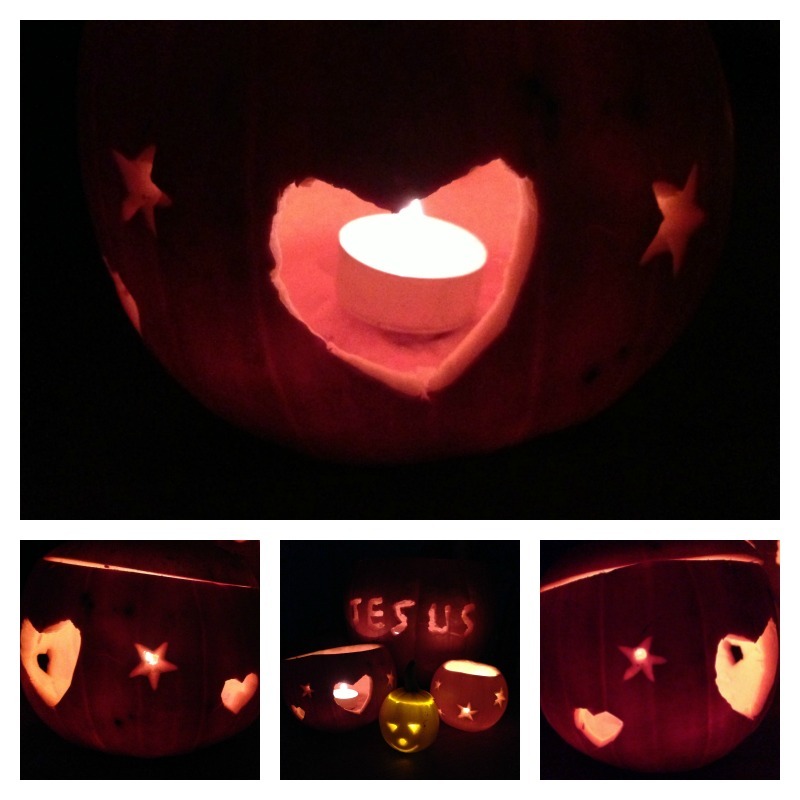 This entry was posted in Charity and tagged Hallowe'en, World Vision on October 31, 2013 by Hannah. I’m still rather behind on blogging but before I forget everything, here is at least some of what we did in half term week… I spent most of the week trying to catch up on washing and housework after our weekend away in France, and I wasn’t feeling full of energy to do lots of creative things with the kids. Luckily Dramabuds came to the rescue. The big three went on a drama camp for three mornings (Tuesday to Thursday) finishing with a brilliant Halloween performance. Owl was a wizard, Monkey a ghost and Rabbit a bat, and they all had a fantastic time. On the Tuesday afternoon there were also two Dramabuds parties, one for the little ones which Tiddler and I went to, and one for the older children afterwards. On Tuesday evening, Suburban dad carved a pumpkin lantern, and on Wednesday Rabbit and I made pumpkin soup. We lit the lantern when it got dark and we decided that it would look even better with Monkey’s Diwali candle beside it. In the evening, we all played the apple game (standing on a chair and dropping a fork into a bowl of apples – like ducking for apples but easier!) and then the big two went to the rainbow party at church, and little two had a “party” at home. This was Rabbit’s idea, and I didn’t mind, as all she wanted was to choose her own supper (fishfingers followed by maltesers and pineapple pieces!) and then play musical statues with Tiddler. Best party I’ve been to for a while. 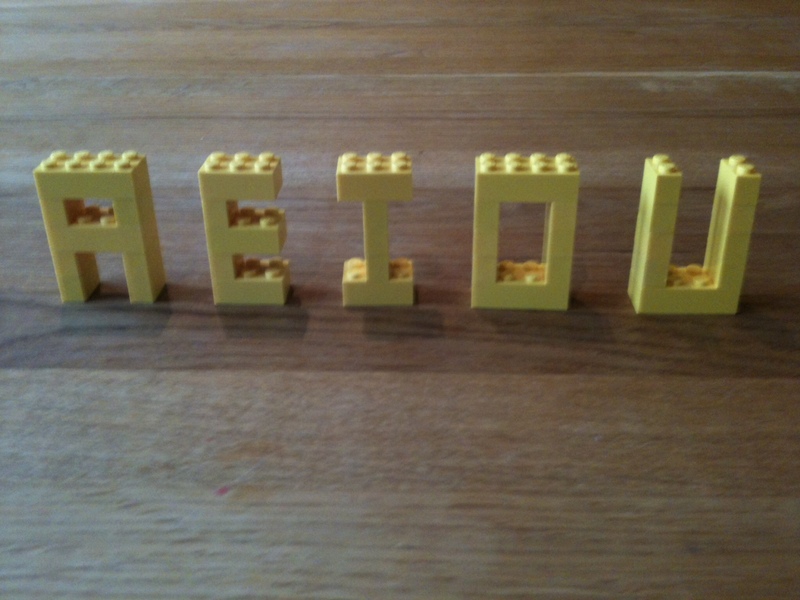 I can’t remember what else we did that week, but I know it involved a lot of Lego. 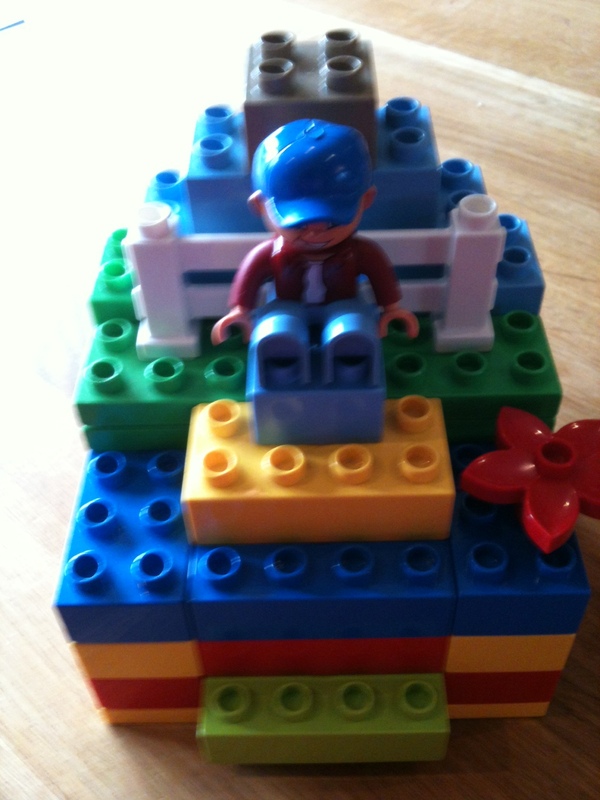 Among other things, Rabbit made a Duplo model and Monkey and Owl made Lego vowels. We had a quiet weekend at home, as Owl and Tiddler had a tummy bug. We had planned to have a bonfire on the Sunday evening, but we had to postpone it as the boys weren’t well, and also it was a rather wet day for building a fire. 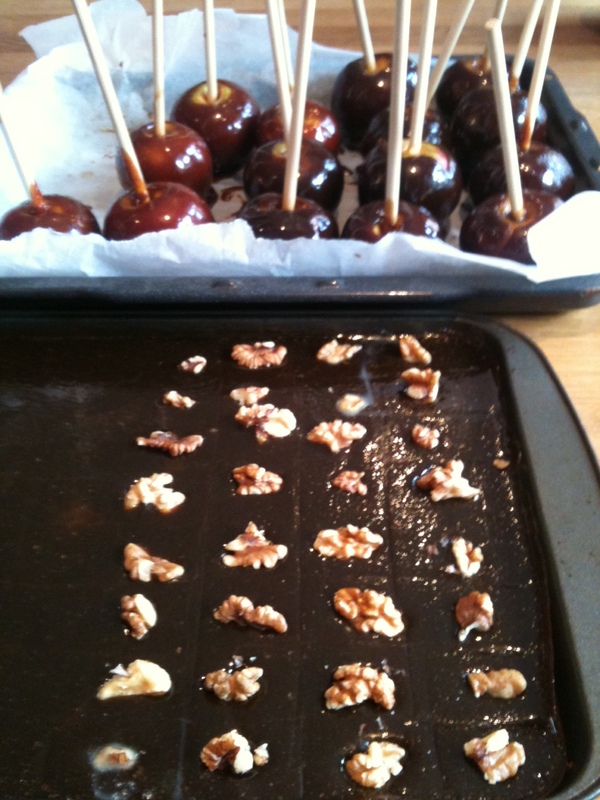 We did have fireworks and sparklers though, and Suburban Dad and Supergirl made bonfire toffee and toffee apples. 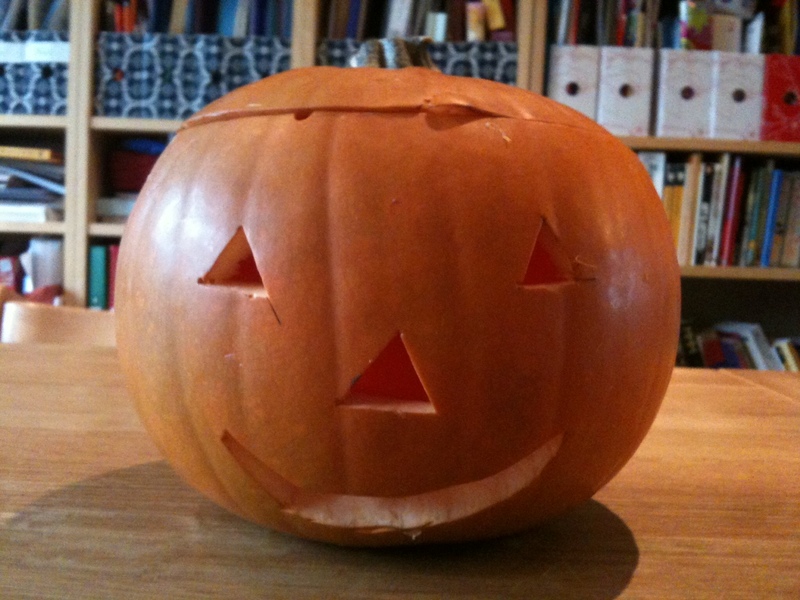 This entry was posted in Family life, Holidays, Our family and tagged Dramabuds, Fireworks, Hallowe'en, toffee on November 11, 2012 by Hannah. This is a guest post by Rabbit. 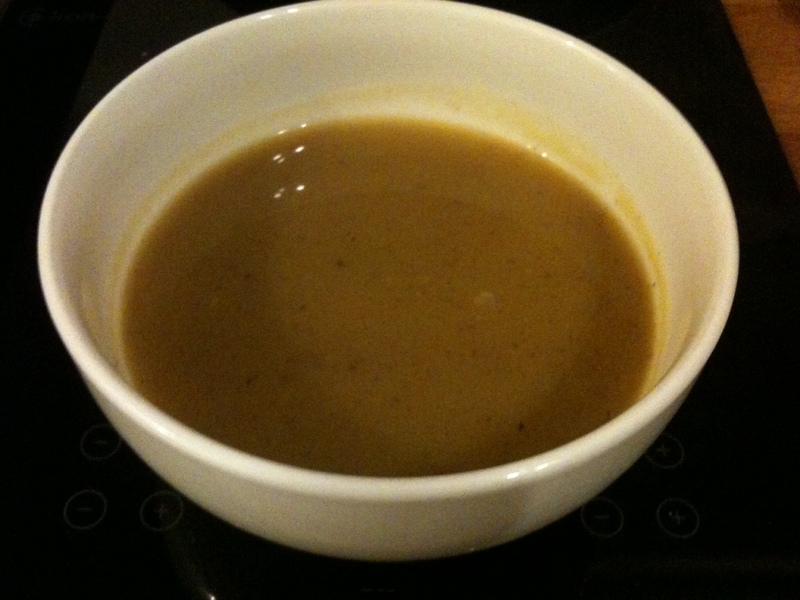 I made pumpkin soup with mummy and I ate it and it was really yummy. This is how we made it. We fried some chopped onions in the pan, and then we added some cloves of garlic. I peeled the skin off the garlic. Then I added chopped pumpkin and butternut squash and some water. I also put in some mixed dried herbs, some cumin, salt and pepper, and some vegetable stock powder. 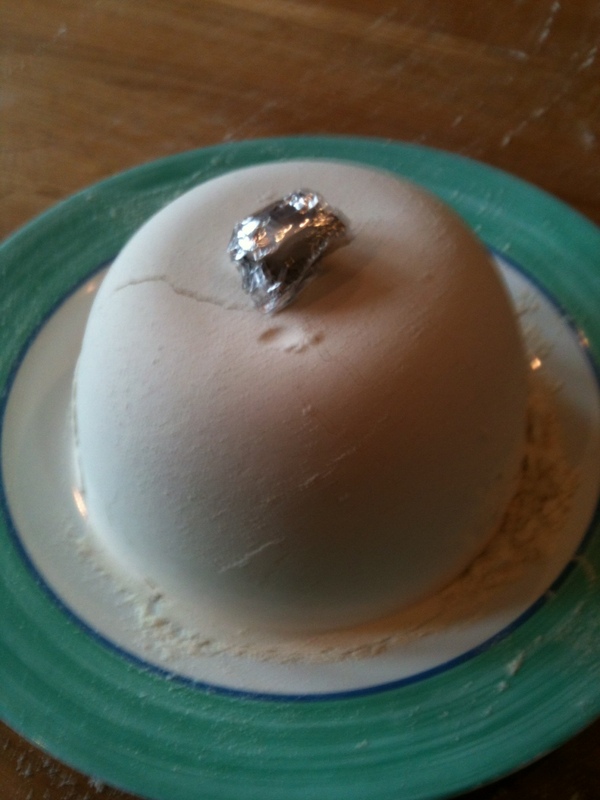 We cooked it for about half an hour, then mummy blended it. 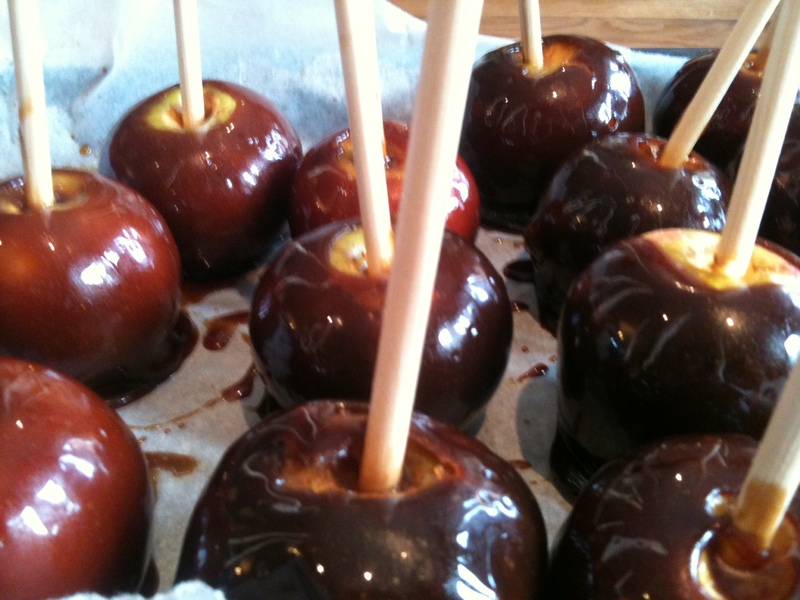 We ate it for supper on Hallowe’en. 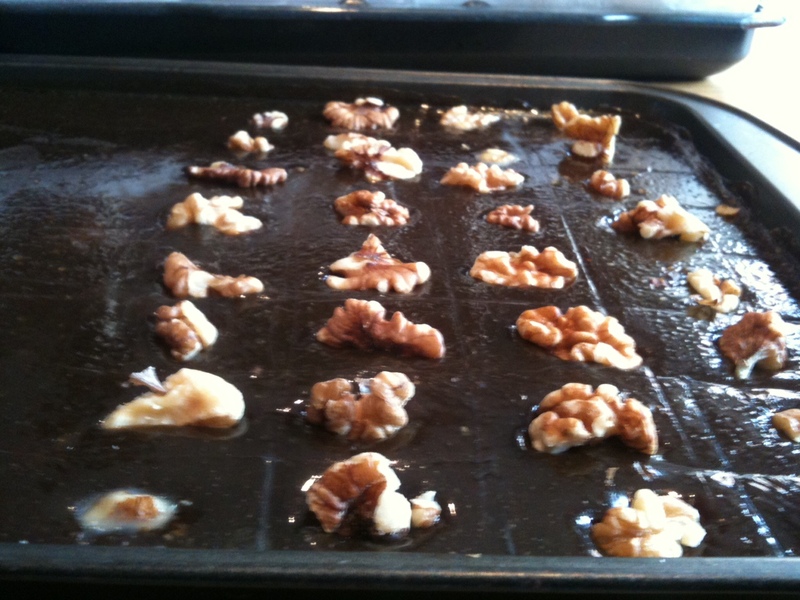 This entry was posted in Food and tagged cooking, Hallowe'en on November 1, 2012 by Hannah.